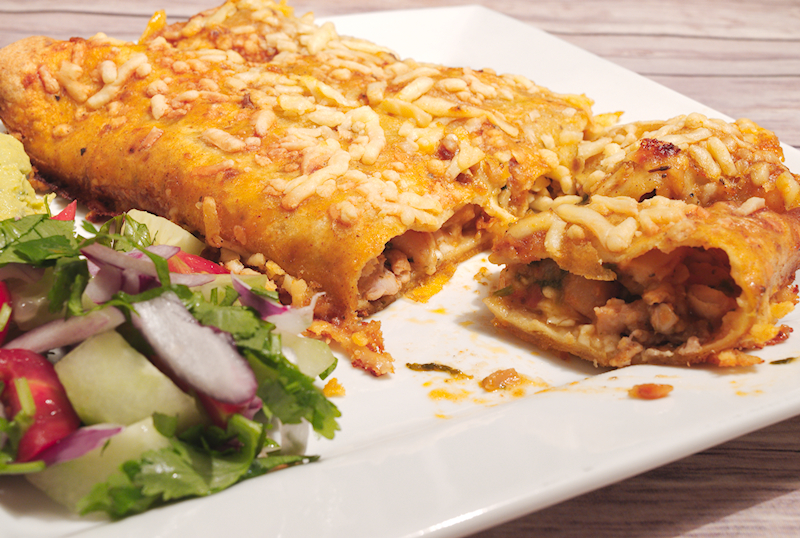 This is a very simple and easy recipe for spicy chicken and bean Enchiladas. It’s cheesy, it’s meaty and is awesome! There are two reason why I decided to make these chicken and bean enchiladas. First, it has been some time now that I have been craving Mexican food. I don’t remember when was the last time I had some. Maybe during my trip to San Francisco, a few months ago. Second, and more important, Kondje had made a large pot of bean stew and we needed to consume somehow. We ate 2-3 times but there was a lot still left. I know that most of the people use beans from tin cans when they make Mexican food, especially Enchiladas. Personally I don’t like them. I prefer the food I put on my table to be fresh and homemade. At least I try. 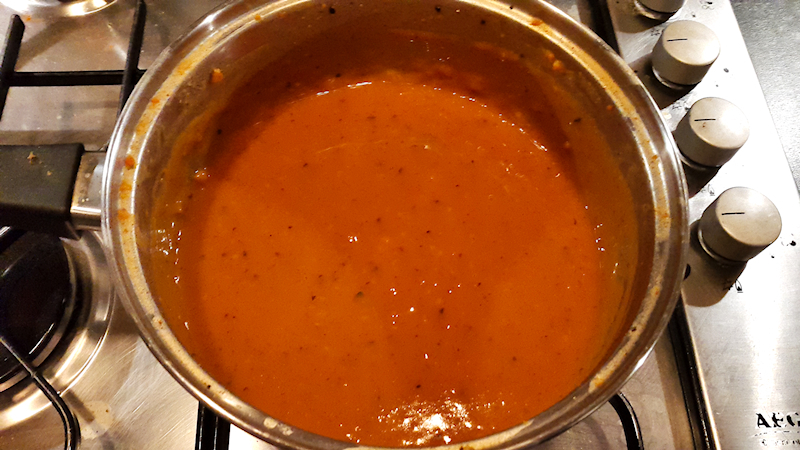 So the bean stew was made in a tomato sauce, similar to a Fasolada soup. The beans gave the Enchiladas a particular flavor. One of the most important factors for successful Enchiladas is the sauce. 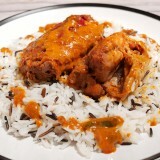 I had a quick look around and found this lovely recipe for Enchilada sauce. I have to admit, the sauce was awesome! Thank you Kate for sharing it with us. So, go ahead and make it. 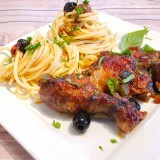 It’s easy, it’s meaty and is a lovely meal for the whole family. 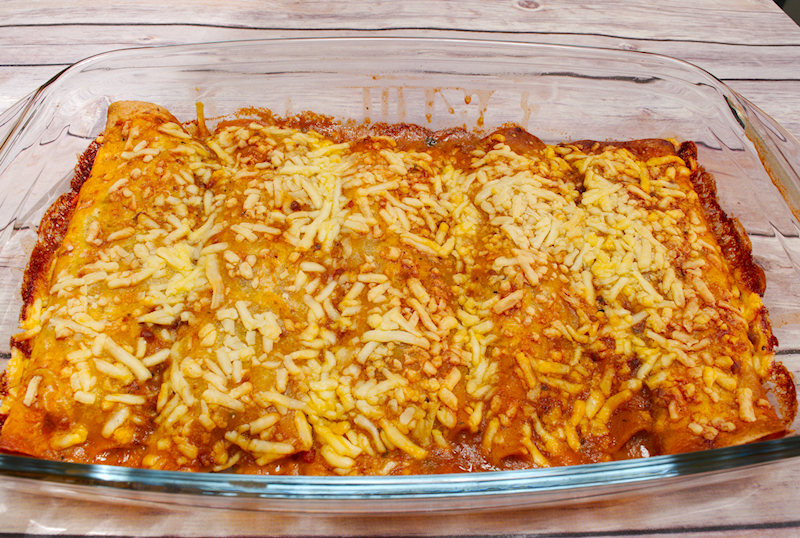 This is a very simple and easy recipe for spicy chicken and bean Enchiladas. It's cheesy, it's meaty and is awesome! 6 skinless chicken thighs cut in small pieces. 2 cups cooked or canned beans. 1 teaspoon Cajun spice mix. 200 gr (7 oz) shredded cheese (Cheddar, Monterey Jack etc). A small bunch of fresh coriander finely chopped. 3-4 tablespoons of extra-virgin olive oil. Add the olive oil in a large frying pan on medium heat. 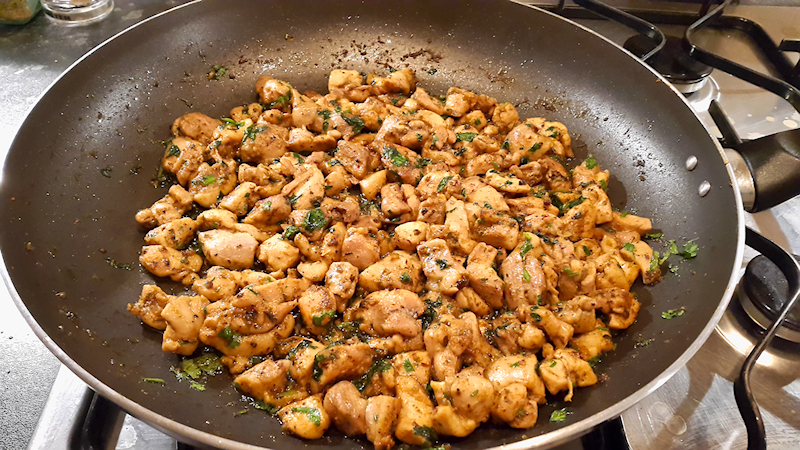 Add the chicken pieces and start frying them. Season them with the paprika, oregano, Cajun mix, chili powder, salt and pepper. Cook until it starts getting golden brown. 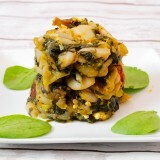 -3 minutes before you remove from the heat, add the coriander and stir well. 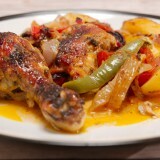 Try some of the chicken to see if it needs a bit more seasoning. Place one tortilla on the working bench and spread some of the Enchilada sauce. 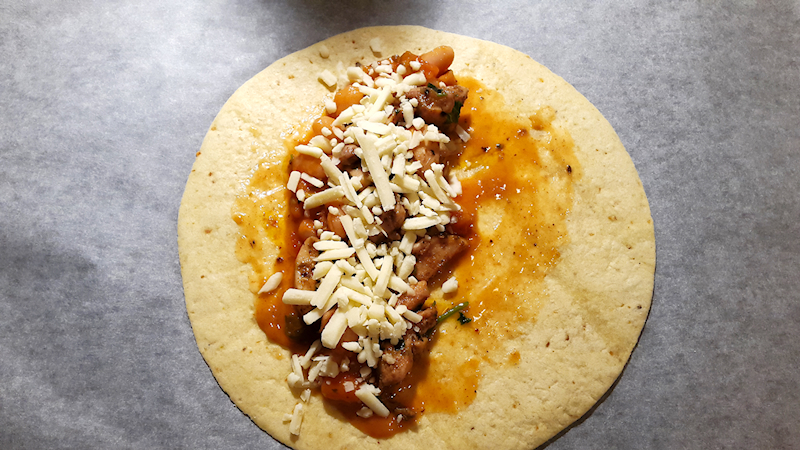 Depending on the size of the tortilla, add a tablespoon of beans, a few pieces of chicken and top it with some shredded cheese. Roll the tortilla and place it in a large tray. Repeat with the rest of tortillas. 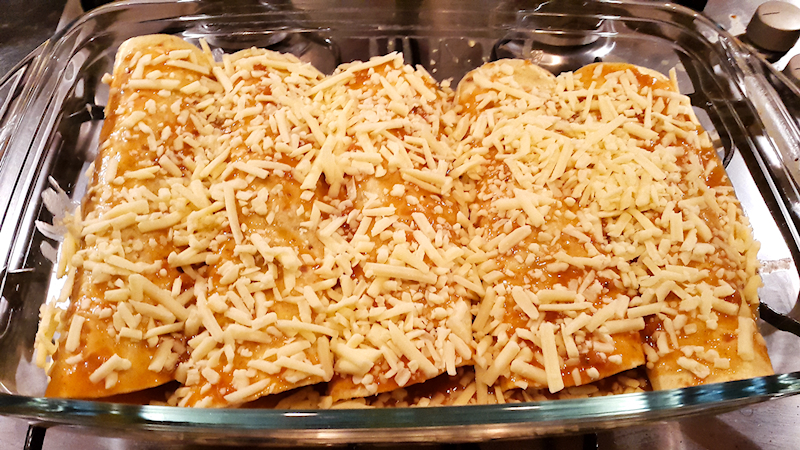 At the end, pour the remaining of the Enchilada sauce in the tray and top it with the rest of the cheese. Bake for ~ 20 minutes until the cheese has melted and the tortillas start getting brown. 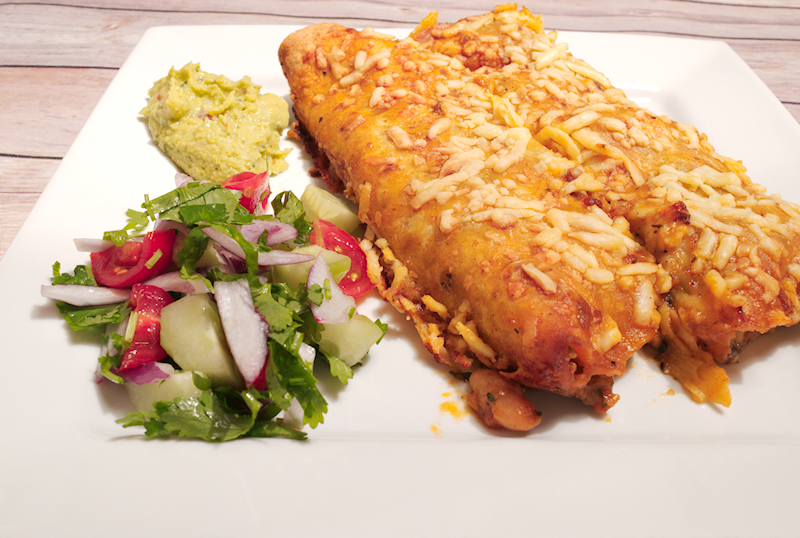 Enjoy your chicken and beans Enchiladas with Pico de Gallo or rice.